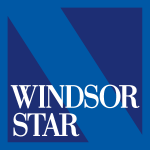 The Windsor Islamic Association (WIA) has been serving a population of over 25,000 Muslims (Ahlus-Sunnah Wal Jamaa’ah) in the City of Windsor and surrounding areas. Established in 1964, the management of WIA operates and administers various Islamic social, educational and charitable wings such as the Windsor Mosque, Al-Noor School, ISWA, Qalam etc. The WIA pledges to abide by the Islamic Shari’ah in administering all its assets and in planning and conducting all its activities. Established in 1964, WIA operates and administers various Islamic social, educational & charitable programs. Muslims comprise one of the largest demographic communities in Windsor; ethnically diverse, coming from more than 60 countries. Thousands of Muslim families call Windsor their home; a large number of these are 2nd & 3rd generation Canadians. They are highly successful Muslim doctors, engineers, businessmen, teachers and professionals, together contributing to the overall success of the city and the country. Meet our Imams or religious directors. Imam Mohamed lead the Muslim community in Halifax & Nova Scotia for 7 years. He serves as the Imam of Windsor Mosque since 2011. Sh. Yousef Wahb has been an Imam in Windsor, Ontario since 2014. A graduate of Al-Azhar University, he is the Imam of Youth, Education, and Outreach.